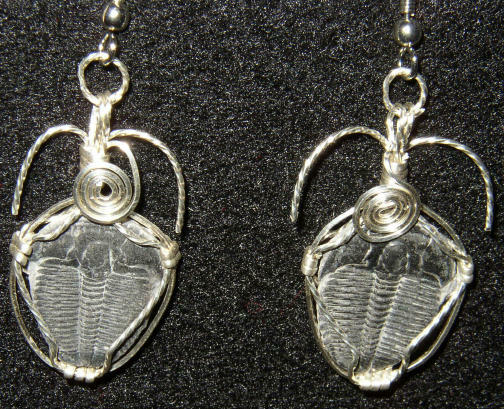 This ear ring set is made from two Trilobite fossils from Delta Co., Utah and wire wrapped/sculpted with Sterling Silver wire. 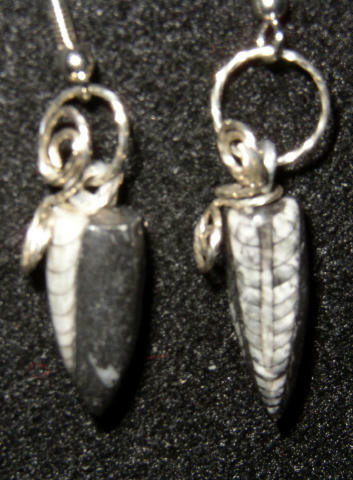 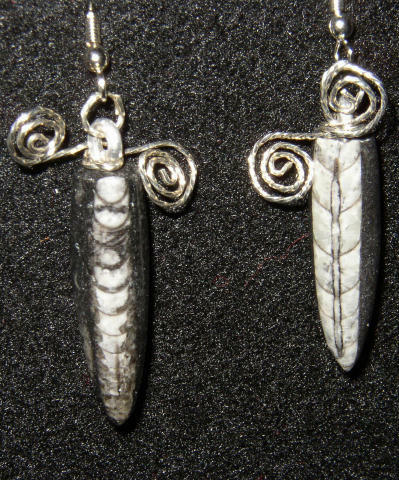 This ear ring set is made from two polished Orthoceras fossils from Morocco and wire wrapped/sculpted with Sterling Silver wire. 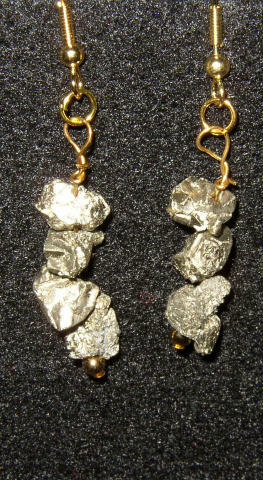 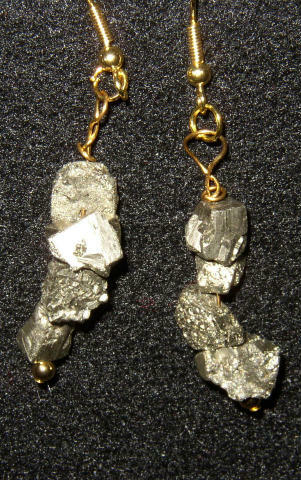 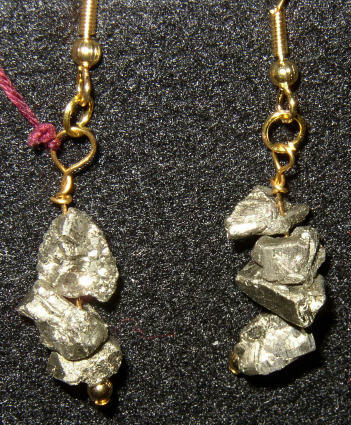 This ear ring set is made from iron pyrite "fool's gold" nugget beads from Peru. 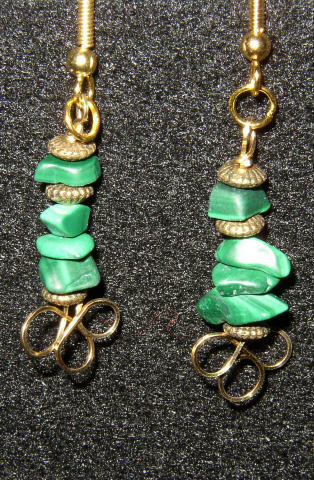 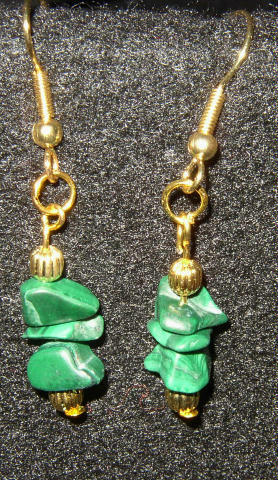 This ear ring set is made from Malachite chip beads from Zaire, Africa. 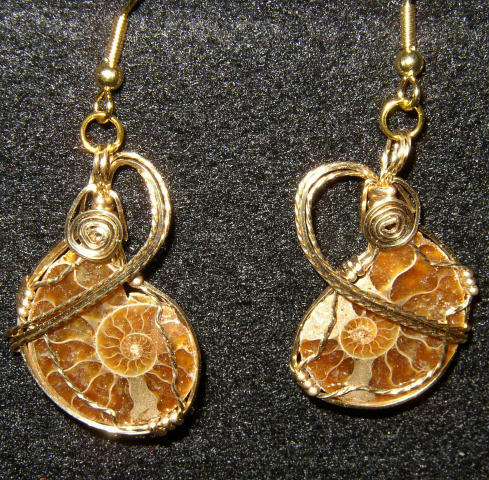 This ear ring set is made from polished ammonite fossils from Madagascar and 14 K/20 % gold fill wire. 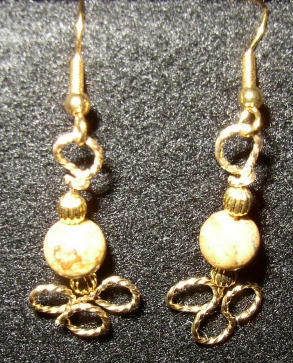 This ear ring set is made from Picture Jasper beads from Brazil and 14 K/20 % Gold Fill wire.